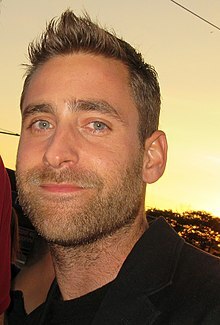 Oliver Mansour Jackson-Cohen (born 24 October 1986) is an English actor and model. Jackson-Cohen was born in Westminster, London. His mother, Betty Jackson, is a fashion designer, and his father, David Cohen, is his mother's business partner. His mother is English, and from a Protestant background. His father is from an Egyptian Jewish family that moved to France in the 1950s; they were Orthodox Jews. Jackson-Cohen attended French school at the Lycée Français Charles de Gaulle in London and says he has a slight French accent. On leaving school, Jackson-Cohen was advised to treat acting as a hobby rather than a career. After a role in a play at the Lyric Theatre got him an agent, he began attending auditions and put university on hold to apply for a place at drama school in New York. Shortly afterwards he received his first role. He also studied with Michael Luggio at the Malisa Theatre Academy. "I can safely say that I have never met anyone quite like Michael Luggio. His approach to acting and teaching is incredibly invigorating. He breaks all the barriers down, so you are left with the simplest and most honest performance possible. His classes are built around making the safest environment for his actors, in order for them to discover, learn and rid themselves of fear. It becomes a platform where anything is possible. Michael has helped me more than anyone I have ever met. He continues to bring it back to the craft and makes you feel safe and confident as you make your way out into the industry." He attended the Youngblood Theatre Company at weekends, and at 15 landed a small part in Hollyoaks. After school, he began a degree in French literature lasting "for about two weeks. I hated it." He soon got a job washing vases for a florist to keep him going between auditions. "It wasn't great but when you're that broke you'll do anything." He had a role in the television series Hollyoaks when he was 15, and he later appeared in the ITV series The Time of Your Life in 2007. In 2008, he played Phillip White in the BBC adaptation of Lark Rise to Candleford and in the first episode of Bonekickers. He also played Marcus in the short film The Rooftopsmiths by Helen Rowles with Natasha Freeman as Imogen and Philip Marden as Joel. He played Damon in the 2010 film Going the Distance starring Drew Barrymore and Justin Long. He starred in the film Faster opposite Dwayne Johnson. In 2011, he starred as Prince William, Duke of Cambridge in a series of Funny or Die videos with Allison Williams as newlywed Kate Middleton. Jackson-Cohen stars opposite Cynthia Nixon in the miniseries World Without End as Ralph. He appears in Mr Selfridge with Jeremy Piven where he plays the role of Roddy Temple. In 2013, Jackson-Cohen was cast as journalist Jonathan Harker in the NBC series Dracula. In 2014, he was cast as Misha in the film adaptation of Shamim Sarif's 2004 novel Despite the Falling Snow. In March 2014, Jackson-Cohen was cast as James, Duke of York in ITV's four-part period drama miniseries The Great Fire. It was announced in July 2014 that he would star opposite Sarah Snook in the 2015 ABC convict miniseries The Secret River, an adaptation of Kate Grenville's 2005 novel of the same name. In 2015, Jackson-Cohen also starred in The Healer as Alec Bailey. In July 2015, Jackson-Cohen was cast in Emerald City as Lucas. In 2018, he starred as Luke Crain in the TV adaptation of The Haunting of Hill House. 2007 The Time of Your Life Marcus Episode: #1.4"
2008 Bonekickers Colm Episode: "Army of God"
^ "JACKSON-COHEN, Oliver". British Film Institute. Archived from the original on 24 December 2013. Retrieved 13 November 2012. ^ a b "Oliver Jackson Cohen – Portfolio". Models 1. Archived from the original on 2 November 2013. Retrieved 8 September 2014. ^ Radish, Christina (25 October 2010). "Oliver Jackson-Cohen: Hot Brit Hunk in "Faster"". TeenHollywood.com. Retrieved 8 September 2014. ^ "Oliver Jackson-Cohen | World Without End". World-without-end.tv. Retrieved 13 November 2012. ^ "[Interview] Oliver Jackson-Cohen Talks 'Faster'". Thefilmstage.com. 24 November 2010. Retrieved 3 August 2013. ^ "An interview with Oliver Jackson-Cohen :: Harper's BAZAAR". Harpersbazaar.co.uk. Archived from the original on 6 February 2013. Retrieved 13 November 2012. ^ "Westside resident". Westside.greatbritishlife.co.uk. Retrieved 3 August 2013. ^ "Malisa Theatre Academy – New York's Leading Acting Program. Home of The Actor's Methodology". Malisatheatre.com. Archived from the original on 24 September 2013. Retrieved 3 August 2013. ^ Walker, Esther (6 January 2008). "Close-up: Oliver Jackson Cohen, actor – Profiles – People". The Independent. London. Retrieved 3 August 2013. ^ Walker, Esther (6 January 2008). "Close-up: Oliver Jackson Cohen, actor". The Independent. London. ^ a b All-star line up for Sunday night on BBC One in Lark Rise To Candleford. BBC, 27 July 2007. Retrieved 2008-03-11. ^ "World premiere of The Rooftopsmiths". Sixth Form College, Farnborough. 10 November 2008. Archived from the original on 19 April 2013. Retrieved 16 December 2012. ^ Honeycutt, Kirk (19 August 2010). "Going the Distance – Film Review". The Hollywood Reporter. Retrieved 31 December 2010. ^ "Oliver Jackson Cohen". Funny Or Die. ^ "Oliver Jackson-Cohen pictures, bio, movies". Poptower.com. Archived from the original on 1 July 2017. Retrieved 13 November 2012. ^ "Oliver Jackson Cohen: Interview with the latest heartthrob from UK. – Swide Magazine". Swide.com. Retrieved 13 November 2012. ^ Amy Williams (5 May 2012). "Amy Williams: Front Row". Daily Mail. London. Retrieved 13 November 2012. ^ "Press releases | Mr Selfridge". ITV Press Centre. Archived from the original on 5 March 2012. Retrieved 13 November 2012. ^ "Oliver Jackson-Cohen cast as Jonathan Harker on NBC's 'Dracula' | House of Vampires". Houseofvampires.wordpress.com. Archived from the original on 10 April 2013. Retrieved 3 August 2013. ^ Goldberg, Lesley (17 November 2011). "NBC's 'Dracula' Drama Finds its Van Helsing in Thomas Kretschmann". The Hollywood Reporter. Retrieved 3 August 2013. ^ "'Dracula' NBC TV show official trailer released". Hypable.com. 13 May 2013. Archived from the original on 31 July 2013. Retrieved 3 August 2013. ^ Barraclough, Leo (4 March 2014). "'Boardwalk Empire' Thesp Jack Huston to Ignite Period Drama 'Great Fire of London'". Variety. ^ "Sarah Snook, Oliver Jackson-Cohen cast in ABC convict miniseries, The Secret River". mediaday.com.au. 27 June 2014. ^ "Cameras roll on The Secret River miniseries". 1 July 2014. ^ "Camilla Luddington, Jonathan Pryce Board Rom-Com 'The Healer'". The Hollywood Reporter. ^ Hipes, Patrick (14 July 2015). "Emerald City Series: Tarsem Singh To Direct All 10 Episodes, Three More Join Cast". Deadline Hollywood. ^ Paton, Maureen (26 June 2008). "In a taxi with… Oliver Jackson-Cohen". Daily Mail. Retrieved 3 August 2013.